Business cards are special and useful tools for introducing yourself to potential clients or the target market. Business Cards are often cheap, and they can be dispensed anywhere, at any time and to anyone. We have built a unique agribusiness card to help you connect with potential customers and invaluable leads. Because persons on the receiving end often accept business cards, you have the best chance to grab the attention of the target market and other leads if you use this special 2 x 3.5 inches business card. The template is 2 x 3.5 inches in size. The template is a high quality PSD file, which means it is only editable via Photoshop. Commercial free fonts and special logo has been included. 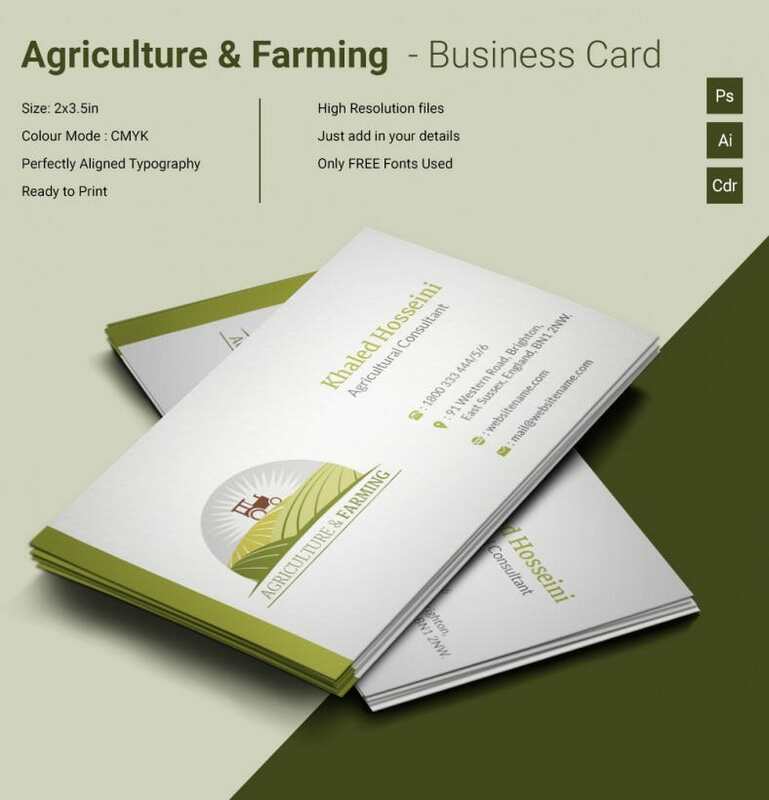 The agribusiness card template has well-organized layers; the layers are also editable. The card is clear and directly descriptive. It should connect you with your target audience on the go. This product will create the best first impression to a targeted audience. This is your best tool for easy agribusiness networking. 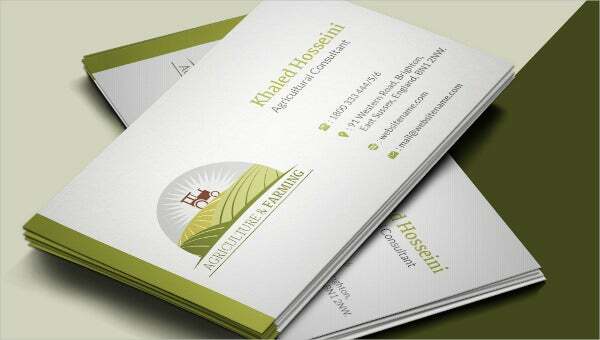 Buy this agribusiness editable business card at a cheaper price today.